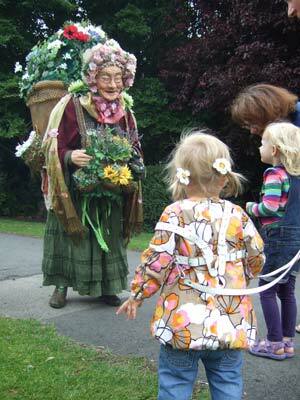 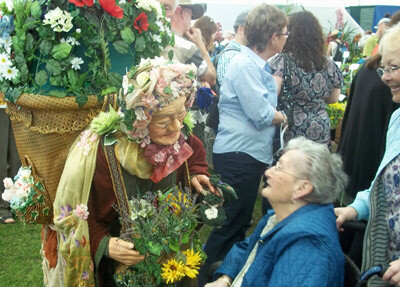 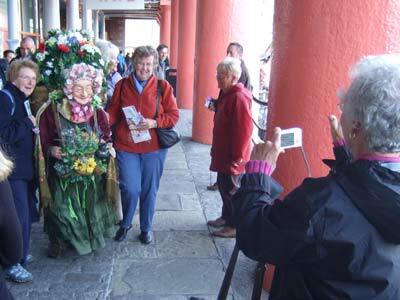 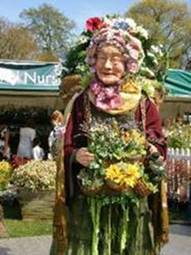 A delightful walkabout show featuring the lifesize puppet ‘Summer Rose – the ancient flower woman’. 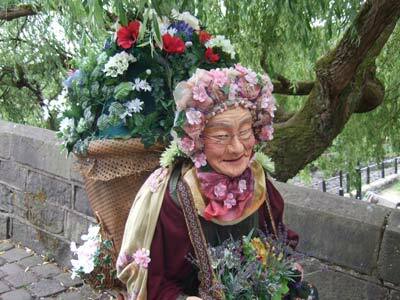 A delightful walkabout show featuring the lifesize puppet ‘Summer Rose – the ancient flower woman’. 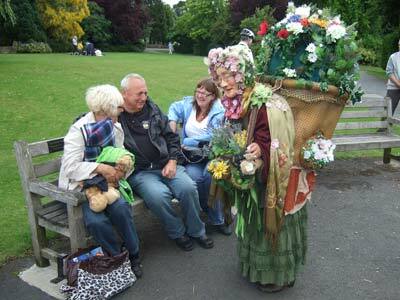 Meet & talk with Rose, enjoy her chat & wisecracks, marvel at her colourful cargo, wonder where on earth the puppeteer could be hidden, & enjoy the sounds (birdsong) & aroma of her flowers & foliage. 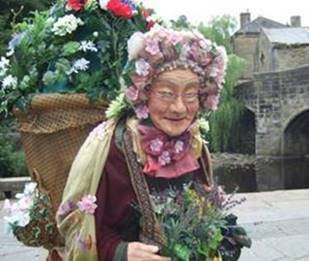 Meadow sweet and balmy in both scent and nature meet this colourful wayfarer as she journeys on through the garden of life. 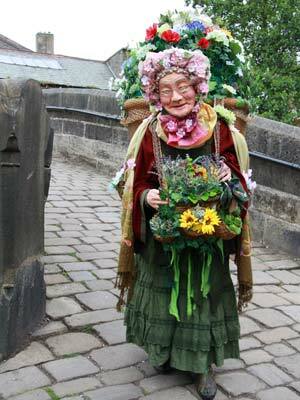 Weed out your woes; partake of her wildflowers and wise words, her rituals and remedies, her befuddlement and bemusement. 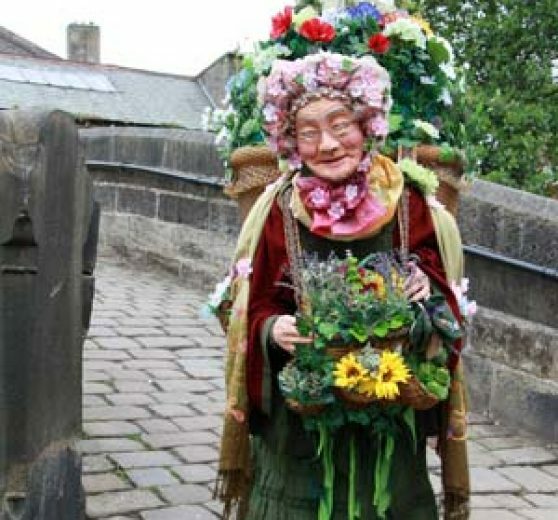 She’s a woman with flower power from long, long ago; you’ll see her bloom is everlasting for you’ll forget-her-not! 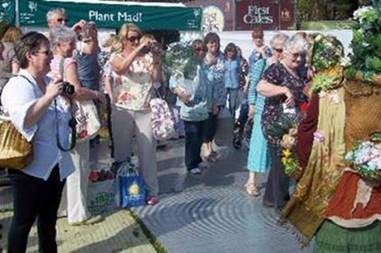 “Summer Rose went down a storm with the public at Birmingham’s St George’s Day! 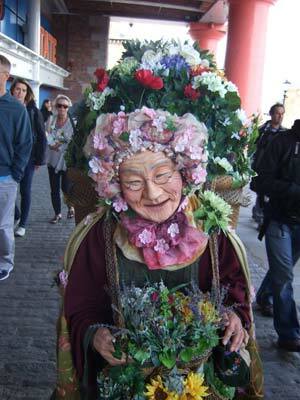 She was unique, engaging and totally fabulous. 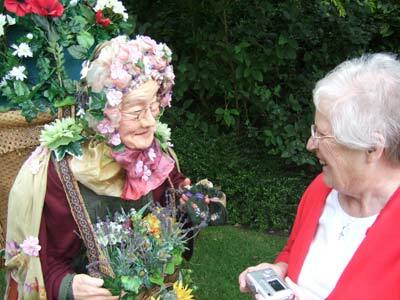 Her amazing costume would brighten up any event. 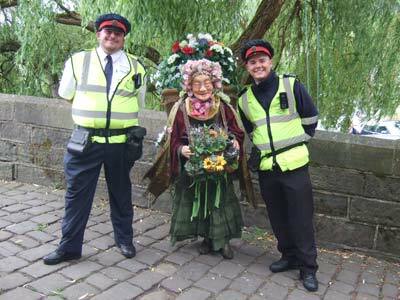 The crowds loved her and we would definitely have her back again”. 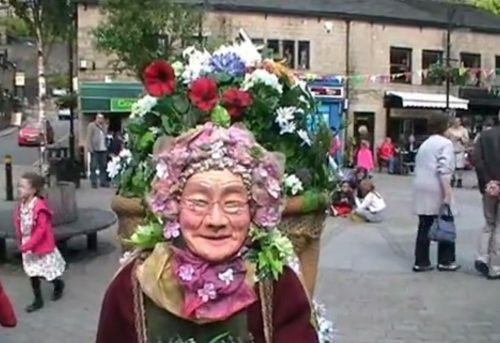 “Summer Rose is one of those beautiful, highly quirky acts that takes you gently by surprise. 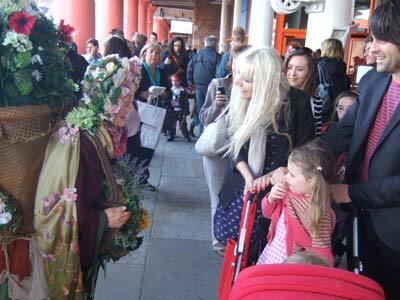 The costume itself was fabulous, and the audience interaction really charming”.